This weekend our oven was finally returned to us. Cue much happiness, and rather a lot of baking! 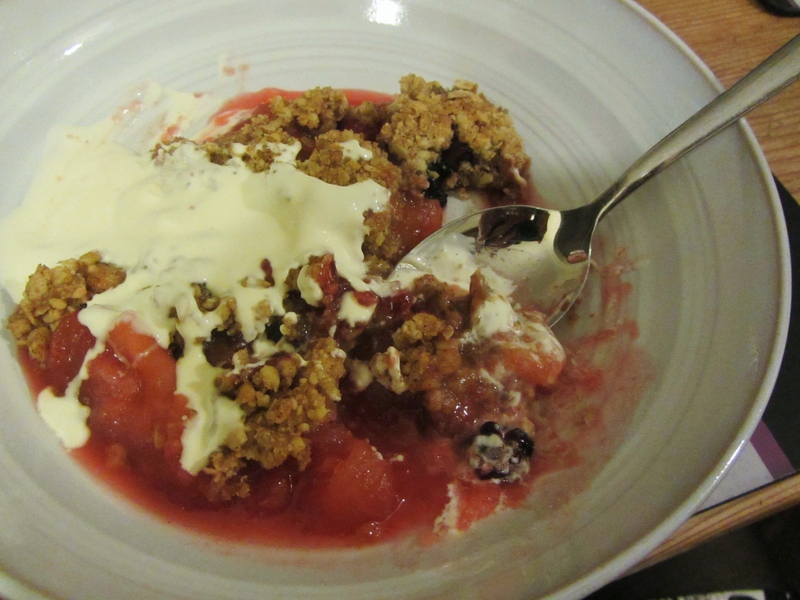 This crumble was the first thing I made in it: it’s so perfectly in season, and I’m lucky enough to be able to pick plums off our tree, and gather wild blackberries (which grow a fifteen minute walk away from our house in Cumbria). This is a recipe I developed last year, and is a firm favourite. 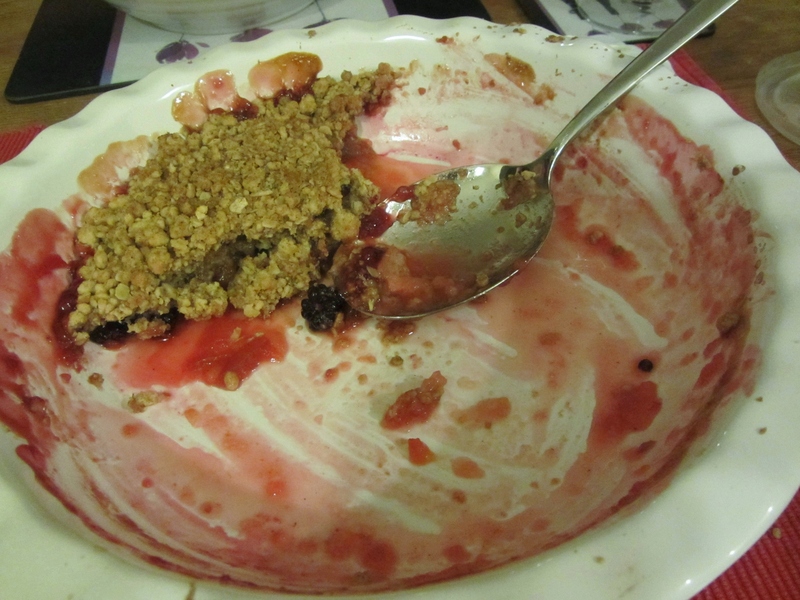 As the days begin to grow shorter and the air regains its chill, a crumble gives such a feeling of cosy contentment that I find myself embracing the whole season. I challenge you not to smile when taking this out of the oven to be greeted by a waft of fruit, spice and warmth. 1. Start by preheating the oven to 180°C. 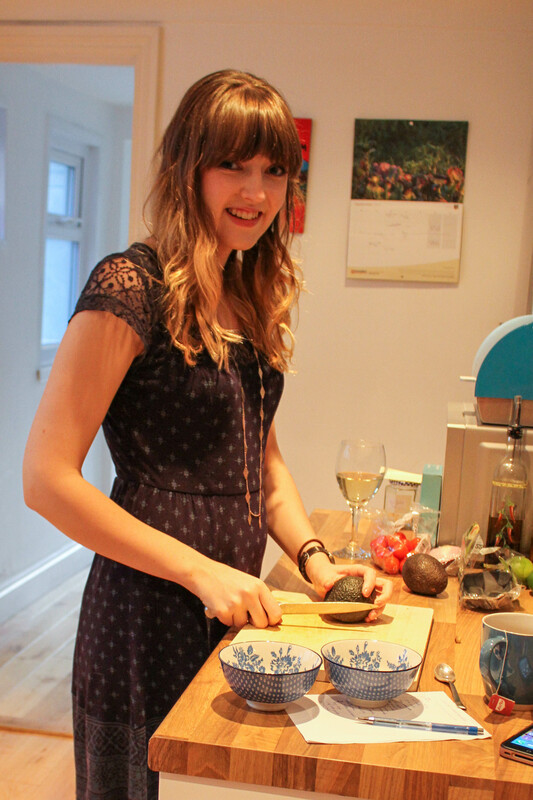 Prep the apples and place them into a large, deep dish, then toss them in the lemon juice to stop them discolouring. Layer the plums on top, then scatter over the blackberries. 2. 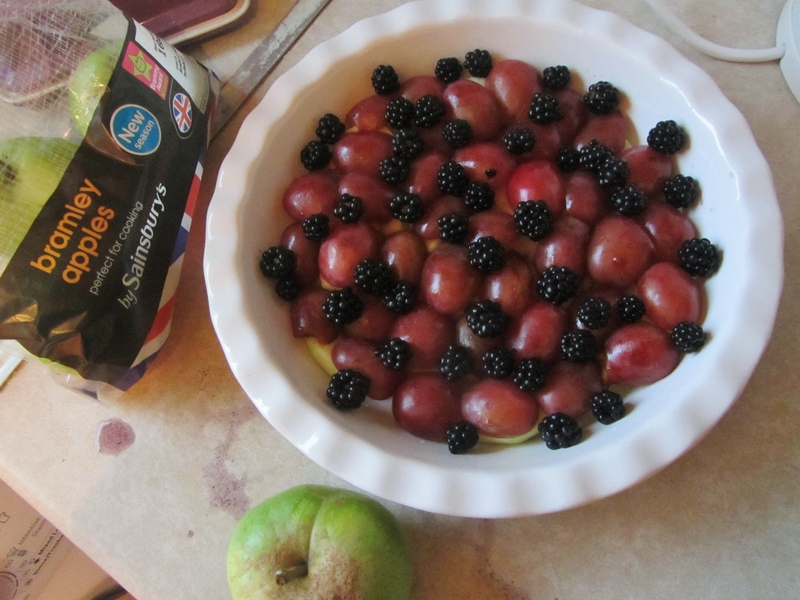 Sprinkle 100g of the sugar over the fruit, then cover and microwave for 5 minutes, until the fruit has softened. 3. Meanwhile, mix the flour and oats together, then use the tips of your fingers to rub in the butter. Stir in the allspice and the rest of the sugar, then evenly distribute your crumble mixture over the fruit. 4. Sprinkle over the toasted flaked almonds, then place the dish on a baking tray and transfer to the oven. Bake for 40-50 minutes, until the topping is golden and the fruit juices are bubbling up around the edges. Serve with cream.